Written Remembering The Jack Russell's Champion by Bridger Cunningham. 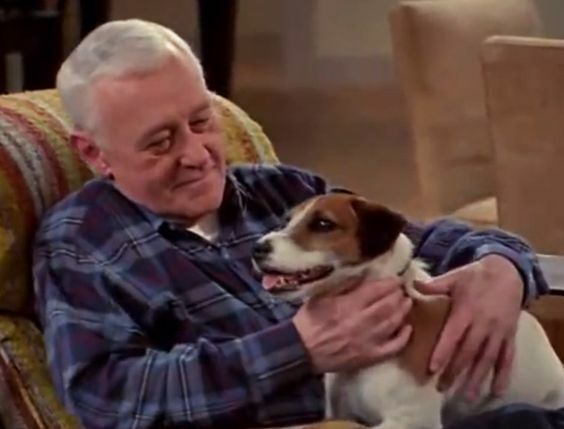 Television has lost another iconic 90's star as Frasier's John Mahoney passed away in hospice car on February 4, aged 77. Born on June 20, 1940 in England, Mahoney's early childhood was spent in the heart of World War II as his family was evacuated from the heavily bombed Manchester. In the late 50's, Mahoney's older sister, a war bride, agreed to sponsor him in a move to Illinois, and he attained US citizenship in 1959 after enlisting in the United States Army. Following his conclusion of service, Mahoney taught English at Western Illinois University, as well as working as an editor for a medical journal in the 70's. Dissatisfied with his career, Mahoney opened a new chapter at age 77 and took up acting. After working primarily in film through the early 90's, including 1989's Say Anything, Mahoney landed a role on Cheers spinoff Frasier as Martin Crane. The role not only catapulted Mahoney into stardom, but also heightened the popularity of the character's on-screen Jack Russell companion, Eddie. For his 1993-2004 run, Mahoney earned two Golden Globe and two Emmy nominations. Frasier spend its first 9 seasons in the top 20, peeking in the 1997-98 season in 3rd Place. Following his longstanding run, Mahoney returned to his favored theatrical career, lined with guest and film appearances. An intensely private individual, Mahoney appears to have never married nor had children. Rest assured, he left a rich legacy after starting a new adventure late in life, one to celebrate indeed.